Emmy and Oliver were going to be best friends forever, or maybe even more, before their futures were ripped apart. But now Oliver is back, and he's not the skinny boy next door that used to be Emmy's best friend. Now he's the boy who got kidnapped. A stranger, a totally hot stranger, with a whole history that Emmy knows nothing about. But is their story still meant to be? Or are they like the pieces of two different puzzles, impossible to fit together? Emmy and Oliver were inseparable, best friends and neighbours who share a birthday. They had been friends since the day they were both brought home as infants, up until the day that Oliver was picked up outside of school by his father and never returned. In a bitter separation, Oliver was stolen away by his father, leaving his distraught mother broken and irrevocably damaged. The police search began to scale back, the media coverage slowly dwindled, but the neighbourhood closed ranks around the children left behind, devastated that their friend was taken from them. But ten years after Oliver was taken, he's been found alive and thriving in New York City. He's now on his way home to his mother, now having remarried with twins girls of her own. With Oliver back home, Emmy and best friends Caroline and Drew finally feel their group is complete. But Oliver isn't the same seven year old who was stolen from them ten years earlier. He's grown, he's matured and is missing his now fugitive father while he struggles to reconnect with his mother and her new family. While Oliver was gone, Emmy dealt with the aftermath of two over protective parents who refused to let her live life, clipping her wings for the fear of how Oliver was taken. Together Emmy and Oliver form a tentative relationship, but with ten years of separation, will the memories of their childhood be enough to keep Oliver this time? Emmy & Oliver was an absolute delight. I braced myself for the dramatic flare that is usually reserved for young adult contemporaries, but instead found a lovely, yet intensely subtle storyline that proves distance really does make the heart grow fonder. Oliver has lived for the past ten years, believing his mother no longer wanted he or his father and living mostly in New York, home schooled apart from a few course subjects his father allowed him to take. It's on a school excursion when Oliver's identity is discovered, the seventeen year old wanting to return to his mother. But his father is never far from his thoughts. Torn between both his biological parents, Oliver is finding it difficult to adjusting to life with his new family, a life he barely remembers, including Emmy. His had vague memories of girl who lived next door, his best friend and partner in crime. But a ten year absence sees the two teens building a new and tentative friendship, Emmy a shoulder to lean on while she hides her own secret life from her overprotective parents. I loved the realism of Oliver's turmoil. His father is hiding from authorities, yet Oliver understands why he took such desperate measures, his parents messy separation and his mother intent to obtain sole custody of the then seven year old. But as enamored as I was with Oliver's story, Emmy on the other hand was mildly irritating. Since Oliver was taken, Emmy's parents have imposed a strict curfew, growing up being protected from new experiences in the hope to keep their only child safe. Emmy has been surfing for the past two years, has applied to college and all against her parents wishes. While Oliver struggles to assimilate, at times Emmy seemed more concerned with her own issues which pale in comparison. Caroline, Drew and Emmy were all friends with seven year old Oliver, but she seemed to shut both friends out in favour of keeping Oliver to herself. As much as I enjoyed and even adored Oliver, Emmy continued to test my patience. 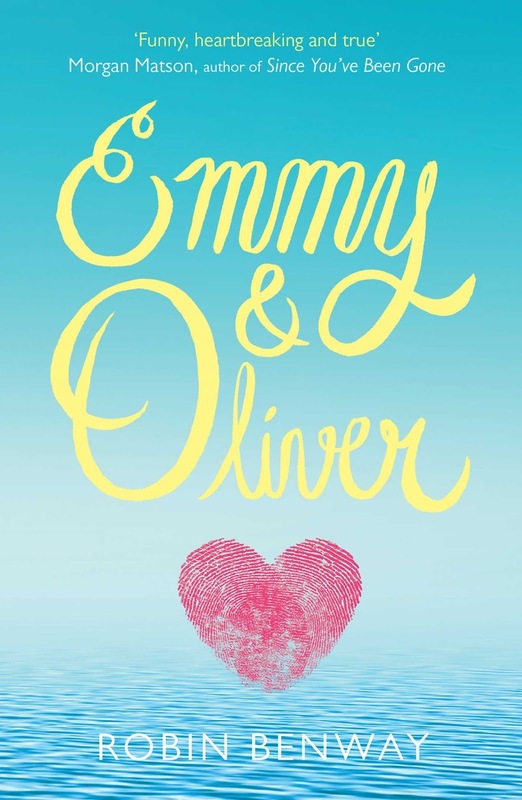 Emmy & Oliver is a wonderful, yet heart wrenching story about finding home. Although Emmy was mildly irritating, Oliver was an incredible young man who's life had been stolen by his father, taking away his choices while trying to navigate his way through a life he barely remembers. It was a lovely and gentle read, proving that sometimes absence really does make the heart grow fonder. Thanks Sophie. Is really is such a gentle and really lovely read. I adored Oliver and what he'd been through. Although he was struggling, he was so incredibly likable. I'd love to see what you think of it. I'm glad you enjoyed this one, Kelly. Unfortunately, I'm one of the few who expected a bit more emotional connection from the story. I thought that the author didn't give the subject matter justice. I found it easy to forget that the boy was kidnapped by a loved one, and that what remained was all the fun of young love and high school. I was really disappointed. Boo. I can certainly see the lack of emotional connection Joy. I was fairly fluffy considering the circumstances under which he was taken, and although we see the turmoil from Emmy's point of view for those who were left behind, we didn't explore Oliver's emotional well being really. I did enjoy it nonetheless though. Thanks for sharing. I really do want to read this one - I hope I can check it out soon. I'm a huge fan of compelling contemporary novels and I really love this premise. It's a great read Lauren, and surprised me how drama and trope free it actually was. It was one of those gentle contemporaries that is just a pleasure to read. Really looking forward to you grabbing a copy and seeing your thoughts. I totally agree. The awesome thing about Emmy and Oliver is that it's subtle, like you said, it's quiet. But it feels so REAL and genuine and it made my cold heart feel a little warm and fuzzy. That really appealed to me too Zoey. That it didn't feel the need to over dramatise the situation, which would have been horrible really. It really can only be described and lovely and warm. So glad you really enjoyed this one too. It was SO lovely <3 Got a little dramatic at the end, but gah, what an excellent contemporary. The ending actually surprised me. Because it was so gentle, I expected a pretty quiet ending, if you know what I mean. But glad it played out the way it did though, I think it really did the storyline justice. Me too Jodie, it was really lovely wasn't it. Oh what an interesting premise. I'm for sure curious about this book, and want to see how they deal with the situation. It's a great read Christy. I do hope you pick up a copy, I'd love to see what you think of it. I think you'd absolutely love this one Sarah. It's emotional but without being dramatic. Such a wonderful read. Despite the premise, it's actually quite subtle and fluffy really, it's not angsty or dramatic thank goodness. I haven't actually seen the US cover for this one, so will have to check it out. Ooh, yes you definitely need that library card Erica! It's such a lovely contemporary, not as poignant as I was expecting but I really enjoyed the change of pace and how subtle it was. Would love to see what you think of it. Yay, Kelly! I adored this one too. It was truly a delight to read. I liked that it wasn't as dramatic either. And I was surprised by how much heart the book had. I'm glad you enjoyed this one despite having some issues with Emmy. It was such a small gripe and didn't effect my reading experience thankfully. I really enjoyed it too Nick, there's been so many really lovely contemporaries in young adult this year hasn't there. I did love this book. It was wonderfully executed, not the kind of whiny drama that most books with this theme has. I was moved at the right scenes, laughed, and empathized with Oliver's situation. Fab review, KellyBurr! Thanks Dre. I really enjoyed it too and drama free as well which really was a breath of fresh air. So glad you enjoyed this one as well. I completely agree with everything you’ve said here Kelly. The friendship and family dynamics are some of the most realistic ones I’ve ever had the opportunity to read, and I loved that. The romance was just a bit lacking for me, but I really did love it overall. I love the way it made you think and how it showed you that adults are people too and that they make mistakes just like everyone else. And wasn’t the sarcasm and humor on point? We're twins Zoe, twins I tell you! The romance was a bit meh for me as well. I would have preferred them to have remained friends while Oliver settled into his new family dynamic as well. I think he might have used his relationship as a crutch to cope it seems. I loved the humour too, and the way they conversed really added to how lovely this one was. So glad you enjoyed it too Zoe. 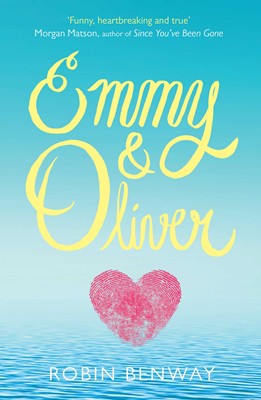 I've heard amazinggggg things about Emmy and Oliver, so to see that you love it means I NEED TO READ IT NOW. I picked this up a while ago, but of course I had too many other damn books to read, so I really want to bump this up on my tbr! I think you'll really enjoy this one Tika, it's that mix of contemporary with completely flawed characters and no excess drama. Definitely move this one up that list, I'd love to see what you think of it. This sounds good. I must check it out! It really is Deb. I was surprised how much I enjoyed it, but I simply couldn't put it down! The thing that gets me about this (and why I haven't wanted to read it) is that I do not understand why Emmy's parents would suddenly become overprotective, because Oliver was taken by his father for a very specific purpose. It's not a random abduction...and surely they all know that? Or do they think it's random, and I'm getting the wrong end of the stick? I struggled with that too Wattle. Although it was never confirmed though, they knew his father must have taken him based on what was going on with Oliver's family at the time. I think it was just an excuse for her parents to coddle her. It wasn't just a strict curfew, but they refused to allow her to surf and even apply to college, preferring her to attend a community college instead. I think it was just adding another dynamic aspect to the storyline, but wasn't really needed because Emmy's issues pale in comparison. I remember seeing the cover of this book and really loving it. But pub declined my arc request so I have to wait for my own copy that still isn't here yet! :( Amazon's driving me crazy. ANYWAYS, what a beautiful review Kelly! I miss your words!!!!! My co blogger loved this book as well so I really can't wait to read it. I really really want to read this book. I read Cait's review some days back ( or was it weeks? My brain is fried these days) and I immediately added it to my TBR, and this has tempted me even more! It's also been ages since I read a contemporary which made an impact in me, so I am looking forward to read Emmy and Oliver!